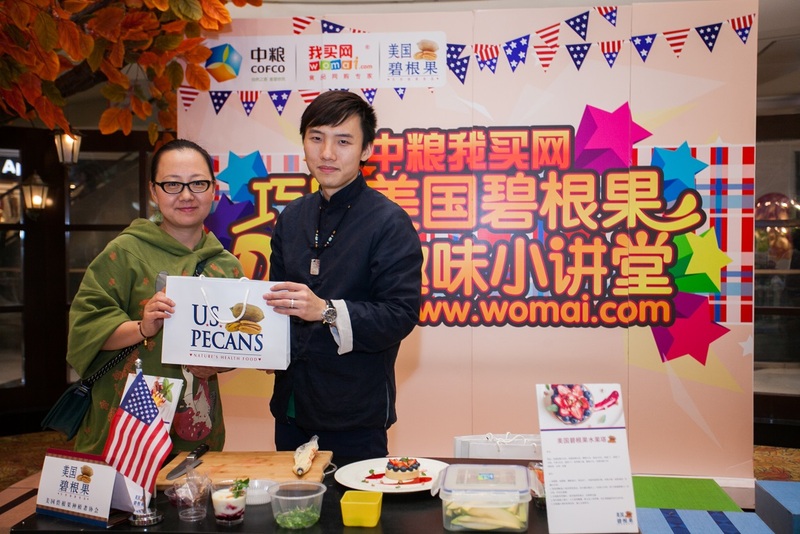 On December 8 2013, U.S. Pecans held a consumer promotion and chef demonstration in the popular upscale Joy City shopping mall in Shanghai. Families gathered around the promotion area to try samples and learn about the origin, culinary applications, and health benefits of the unique American nut. Ingredients were then distributed to participants who competed to see who could make the best dish following Yu Fei’s guidance. All participants received pecan gift bags, while those that created the best pecan dishes also received additional prizes. 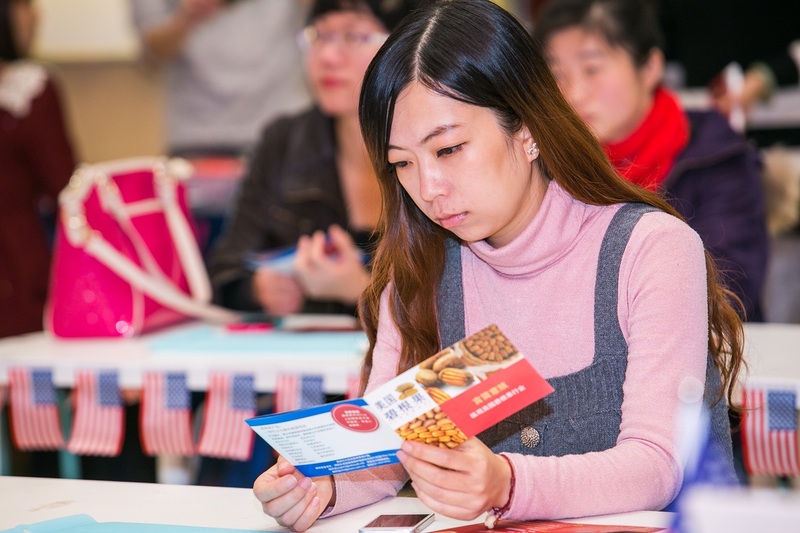 Participants had more opportunities to win prizes by answering trivia questions about pecan production areas, health benefits, and fun facts such as the origin of the Chinese word for “pecan.” A total of 38 consumers directly participated the activities, while many more gathered to observe. With a special focus on expanding consumer awareness of U.S. pecans, the Joy City promotion was jointly held with COFCO Womai, one of China’s leading e-commerce websites for high-end foods and groceries. COFCO is the largest manufacturer, processor, and trader of agricultural products in China, while Womai.com is an e-commerce website invested by COFCO. Currently, Womai.com has more than 200 SKUs of imported American products and carries several brands of pecan products. Prior to the offline promotion, Yu Fei, Womai.com, and Joy City all published posts about the pecan promotion on their official Weibo social media accounts, which have a combined total following of 2.4 million. Mr. Yu Fei’s Weibo account has 30,684 followers, and he is the author of the newly published book entitled Mobile Kitchen. During the promotion at Joy City, NPGC and Womai.com displayed and sold U.S. pecan products that are also featured for sale on the womai.com website. Three brands were offered for sale during the event: Aming, Nongge, and Merveille. Samples and informational pamphlets were also provided to encourage sales.